In larger teaching and rehearsal spaces, and medium-sized performance venues, you often need a larger piano to fill the room with sound, without going as far as a 9 foot concert grand. In larger teaching and rehearsal spaces, and medium-sized performance venues, you often need a larger piano to fill the room with sound, without going as far as a 9 foot concert grand. The 200cm Kawai GX-5 is ideal for these situations sharing the philosophy and attention to detail of the GX-2, also featured here, but benefitting from the even greater tonal depth, power, and dynamic range offered by the larger soundboard area and increased string length. 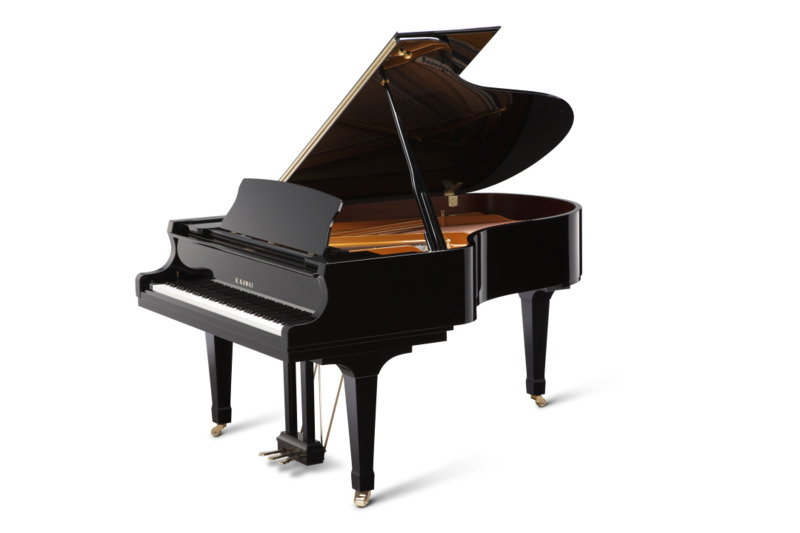 All GX-Series grand pianos feature Kawai’s premium Neotex key surfaces which enhance the tactile pleasure of playing, and have moisture absorbent characteristics to aid control. Also common to the entire GX-Series range are hammers using finest quality, longhaired New Zealand and Australian wool. As well as other carefully selected materials and the overall structural rigidity of the instrument, these contribute to the sound of the GX-5, which offers a flexible combination of power, rounded sonority and clarity. The Millennium III action provides precision and responsiveness to make the most of this capability, including changes from large-scale fortissimo passages to the most intimate and controlled pianissimo playing. smaller than the GX-5, but larger than the GX-2, there is also a 188cm GX-3 (£24,111 RRP). The Yehudi Menuhin School recently took delivery of five GX-3s for teaching and rehearsal rooms in their new Music Department building.